Thank you for supporting the St. Mary's Church with your online contribution. We greatly appreciate the support of parishioners who generously share their time, talent, and treasure to carry out the mission of the Church. Use the links below for online giving via Electronic Funds Transfer (EFT) from your checking or savings account or with a personal credit card. 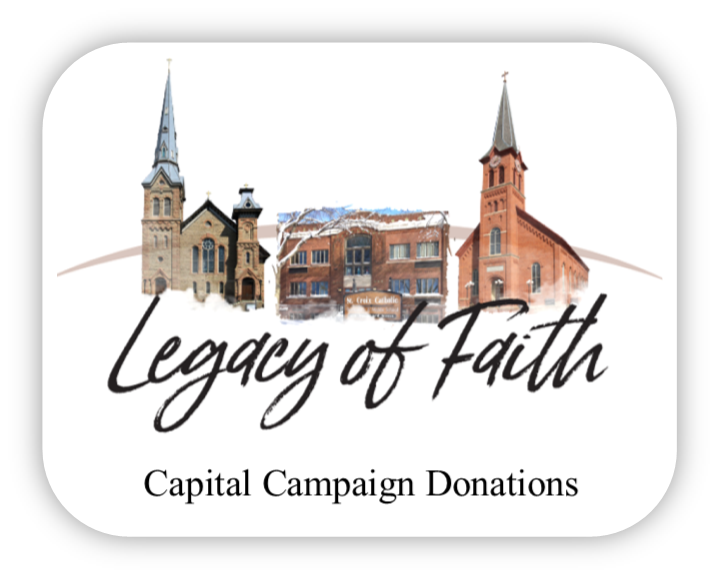 Please note the separate links for Sunday Tithing and Capital Campaign/Building Fund. If this is your first-time giving online, please note the “Create Profile” button once you are on the respective giving pages. Once you have set up your profile, you can see your electronic giving history and manage your giving. Please contact Flo Harris at 651-439-1270 if you have questions. It’s easy to “put God first.” EFT is an easy, automatic way to make contributions to your parish family so that, together, we can continue to carry out God’s work in our faith community. The program is available to all parishioners for your weekly giving and for your pledge payments to St. Mary’s Building Fund.